It’s been a strange week for Luton supporters. The unexpected departure of Nathan Jones, with our former boss believing that Stoke City was his personal Holy Grail, left the Hatters supporters both bemused and frustrated. With the Hatters sitting second in the League One table and facing a difficult period of three games against three fellow promotion candidates, in Sunderland, Peterborough United and Portsmouth, stability was always the buzz word. Even more so with a potential FA Cup 4th round tie against the Premier League giants, Chelsea, also on the horizon, if Luton can overcome Sheffield Wednesday in midweek. 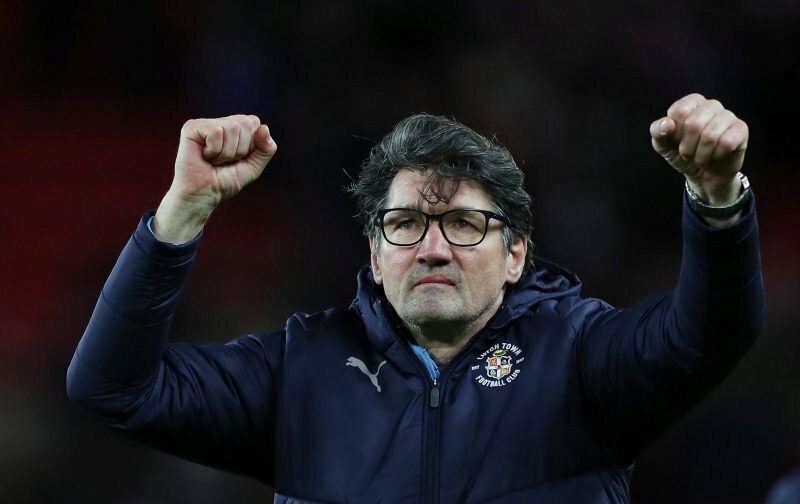 But, in times of potential crisis, the Hatters refused to buckle and in the first of those three aforementioned tricky League One games, against Sunderland, Mick Harford was appointed, in a caretaker basis to keep the Hatters on course. In front of a huge crowd of in excess of 37,000, at the Stadium of Light, Harford did just that steering Luton to a well deserved 1-1 draw, a result that keeps the Hatters in second place whilst also closing the gap on top of the table Portsmouth who suffered a home defeat against Blackpool. Against Sunderland, the Hatters had to come from a goal behind after Chris Maguire had put our hosts ahead. But, instead of panicking and succumbing to the vociferous home support, the Hatters fought back and equalised, from the spot, when James Collins was tripped inside the box and retained his composure to score. Perhaps events were marred slightly by the red-card received by Danny Hylton with the striker being dismissed for violent conduct after a clash with Jack Baldwin, but it is getting a point at a difficult away ground like this that successful promotion campaigns are built upon.